Service Management Journey: Do you work with an Incident Barometer? 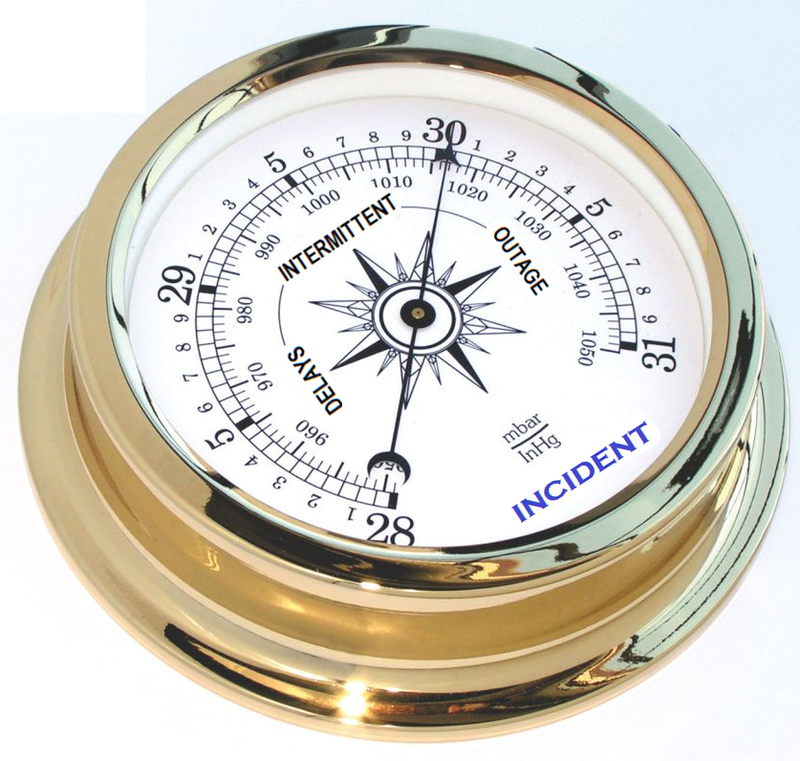 Do you work with an Incident Barometer? At a recent service management event I was sat at a large table with various service desk managers who were reminiscing about incidents similar to someone reliving old athletics stories from when they attended school. While all the stories were different and amusing in their own ways, there was one common thread to them all. Each company seemed to have a person who always escalated the issues with regularity. They were THAT person. No matter if the issue is noticed first thing on a Monday morning or on a seemingly slow Friday afternoon, when you see their name on the call display you know that potentially nothing good is happening. It is almost as if these people unknowingly have an ability to find errors and issues that some other may not see or overlook. They can almost sense an incident. When I suggested that they were an Incident Barometer most of the people laughed, but despite it being comical in nature I thought how we need to harness this power for the forces of good. Anyone who has dealt with people escalating issues knows at least this one fact. People will only escalate as long as they feel it is getting them some value. If they escalate an issue and don’t see results they will stop escalating. Some people might call this the WIIFM factor. Call it whatever you want, if you have someone escalating with regularity we want to find ways to not only ensure that they continue to do so but also channel this energy into other activities. For example, one such activity might be to have them performing additional user acceptance tests for changes which are being implemented. While we want to admit it or not we know that changes can cause incidents. We might be able to improve upon this if we insert a person who uses the tool regularly and often is looking for and identifies issues post implementation. Another example would be to get their input regarding training programs which could encompass new functionality releases all the way up to go-live events for new tools in general. Leveraging their experience may generate many questions that can be reviewed by a project team early on to allow them to get in front of this before they get to the actual training where these questions may be raised. Addressing these questions or concerns as a requirement rather than a function of training or deployment will minimize business impact down the line. Whether they are escalating because they are in early, because they are a manager or some other reason, the fact remains that they are communicating with you. It is your job to continue the dialog. Doing this will allow you to continue to improve your relationships with the business and enable the improvement of service delivery. Now it’s your turn, do you work with an incident barometer?